When it comes to skincare, I honestly am SO lazy and don’t always know what I’m doing. But below is the routine that I have created, and I feel that it has worked really well for me! I never feel overwhelmed by it, and I think it covers all of the bases that it needs to. The place to start with any skincare routine, especially at night, is by removing the day’s makeup. Although we love the magic that our makeup works, it has to be properly removed from our skin because it can cause a lot of impurities for our skin. This is how I start my nightly skincare routine. These Neutrogena wipes are the best: they’re easy on your skin and get the job done. I JUST jumped on the cleansing oil train, but boy am I glad that I did. Even though I always take the time to remove my makeup, sometimes that’s just not enough. And that’s where cleansing oil comes in! It lifts any leftover dirt or makeup right off of your skin right, so that you can get an even deeper clean when you cleanse. Everyone needs a simple, everyday cleanser for morning and night. Make sure that you choose one with gentle yet deep cleansing ingredients to be easy on your skin but still give it a good clean. 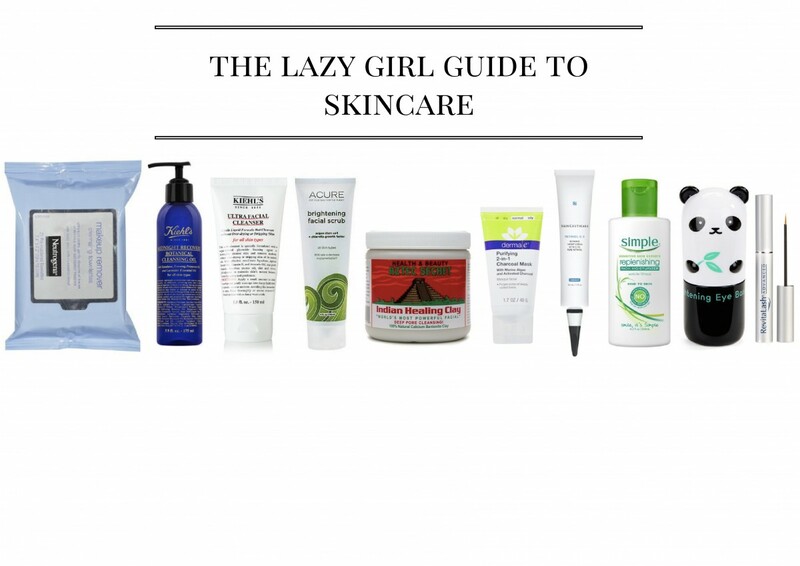 This way you won’t have anything that’s too drying or harsh on your skin regularly. Now, I know it’s hard to keep up with too many different face washes, so that’s why I just use an everyday cleanser and a scrub once a week or every other week. It’s a great addition into any skincare routine because it refreshes your skin and scrubs away any dead skin cells that can be blocking your pores. I love this one that I linked mainly because it’s cruelty-free, made with natural ingredients, and gently scrubs. I read about this mask on rankandstyle.com under their list of the ten best face masks for acne, and I have been blown away. It came in on Amazon Prime, and I had to use it right away! You do have to mix it up yourself, but if that’s possible once a week I think that this mask is worth it. I noticed that it made my skin feel much smoother and reduced some redness on my face right after the first usage!! A mask like this with activated charcoal should only be used twice a month in my opinion. Because it is so deep cleaning, it can bring out lots of impurities. I suffer from cystic acne from stress, so I like to spot treat when I get cyst breakouts with this cream. The retinol helps to dry up and shrink any problem spots. Don’t put it all over your face as it will definitely cause peeling and dryness – oh, and dry lips! Keep it just to spot treatment! Okay, I didn’t know that I had severely dry skin until I went to a Kiehls event this week! They had a little machine that measured my skin’s hydration…and it came up as SEVERELY dehydrated?! My new goal now is to moisturize my life away – this will help reduce my oil production because my skin will be retaining enough moisture. Mind. Blown. I also recommend putting on a facial oil every once in awhile to really sink in deeply to moisturize. I love this one because it has never made me break out and has SPF which I love. It’s never too early to get cracking on the anti-aging regime! So I’ve started on my eyes mainly with the intent of getting rid of pesky dark under-eye circles. But I also don’t mind if it does have some tightening effects as well. I started using lash serum almost a year ago and I have to say that it definitely works. I have been so happy with the results! I recommend using either Neulash or RevitaLash – I have used both and can stand by the success of both. Be on the lookout for sales on these around big holidays – you can sometimes get two for the price of one!